Global Project Logistics Network (GPLN) members Heavy Logistics (Belgium) and Intermax Logistics (China) have doubled up to complete a sensitive project shipment – the delivery of CNC machinery from Antwerp to Shanghai and its installation at the final jobsite. The CNC machine measured 8.4 m x 2.96 m x 3.62 m and weighed almost 50 tonnes. Heavy Logistics coordinated the transport of the over-dimensional unit, which was particularly sensitive to external forces and required careful handling to ensure it was not damaged. 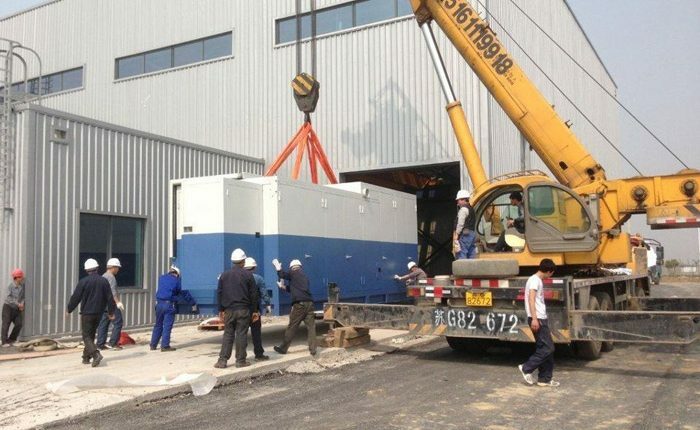 Intermax Logistics, headquartered in Shanghai, took care of Customs clearance, temporary storage and the installation of the machine onto its foundations at the jobsite.